I regularly have conversations on social media and in real life with friends and family about which TV shows, or movies are good to watch. So I thought why not share these recommendations on Cathy Thinking Out Loud once a week, on Wednesday (aka #W2WW). Please share yours in the comments section! 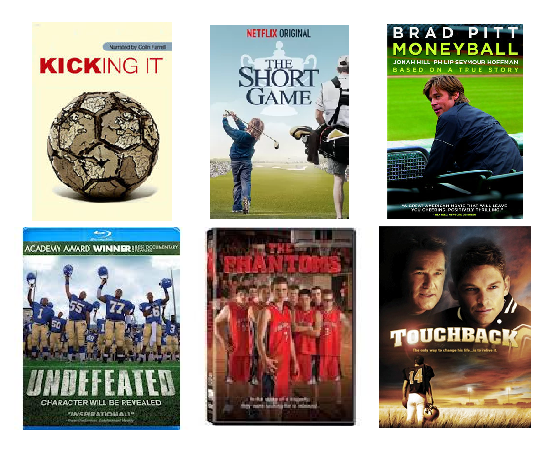 This week's recommendations are sports themed and can be found on Netflix Canada. With all the World Cup excitement it seemed appropriate. Be sure to check ratings and descriptions to make sure each movie is appropriate for your family. 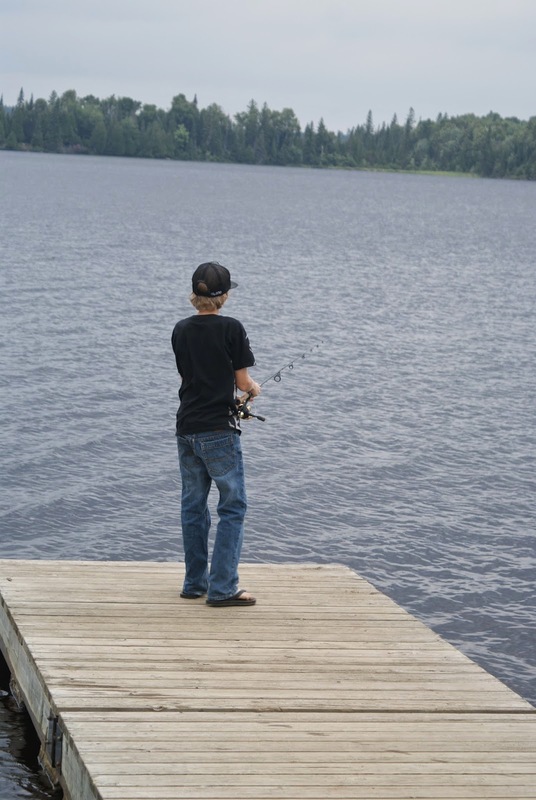 Do you have one of these at home .... a kid that is hooked on fishing? Every year I am dragged kicking and screaming into my son's fishing obsession. For the last couple of weeks he has been at it again, out fishing almost everyday. He fits it in somewhere between his skateboarding and cycling. Sunshine or pouring rain he is out there catching and releasing. 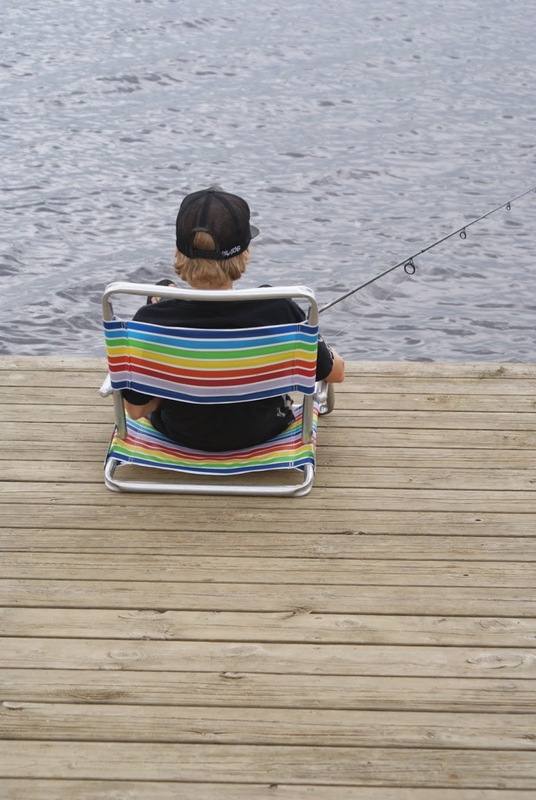 Yep, just me Cathy thinking out loud about my kid being hooked on fishing. Is Wi-Fi in schools incongruous with learning? Incongruous: that is a big word, and if your teen doesn’t know the definition they can easily look it up on their phone in school using wi-fi. They can do this right after they watch a couple You Tube videos and then text their friends about it. My kids got their first cell phones in Grade 9. At that time the policy at the elementary and middle school was cells phones were not permitted in class, had to be stowed in lockers and turned off during school hours and on school grounds. Failure to do so resulted in the phone being confiscated for the day, and repeated offenses resulted in a call to the parents to pick up the phone at the school office. Once they hit high school cell phones were to be turned off and stowed in their knapsacks during class. 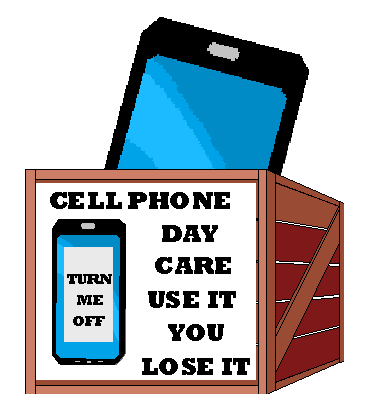 Failure to do so often resulted phones going into Cell Phone Daycare (aka a box on the teacher’s desk) until the end of class, and repeated offenses usually led to a call to the parents. For so many years parents have been judged for letting kids spend too many hours using electronics. All those years we made rules about what, when, and for how long electronics could be used, and then tried to enforce them. So many examples of social media, the Internet, and kids gone wrong: bullying, over-sharing, and privacy issues. All those years, and then in what seems like a blink of an eye, the schools are fully equipped with wi-fi. The kids’ smartphones keep getting smarter and our kids ... not so much. At each parent teacher interview I ask the teacher: “Do you find the wi-fi in the school an asset or deterrent to learning in the classroom?”. I have not had a single teacher tell me they thought it was an asset. What they do tell me is, they now spend half their time policing cell phone and electronics use in the classroom instead of teaching. Students are on social media, or texting when they should be listening and learning. So it is yet another educational dilemma. How do we give students access to the tools and resources they need in an ever more digital world, and teach them the basic academics they require to be successful in further education, their careers and life. Especially when our tech savvy kids always seem to be two steps ahead of us. The debate about the pros and cons of wi-fi in schools continues, but from this parent's stand point I can see no upside. I simply can't see how this benefits learning, in fact I see it as a serious threat to learning. I think the lure of You Tube and such are simply an irresistible distraction for many students, and we are fooling ourselves if we think kids are only or even mostly using the wi-fi access for learning in their classes. The Internet can be a powerful tool, but wi-fi in the classroom is not. For years I have been hearing from the schools, the kids need to learn to be independent, and manage their work on their own. No! First they need to be taught proper note taking, study habits, and time management skills. They need to be taught how to research and cite properly. They need to be taught math, not cloud = 9. Look around you, how many teens can you see without their heads down and eyes on their cell phone? Wi-fi in the school contributes to dependence not independence. It teaches them that everything should be immediate, and nothing about long term goals, and time management. There definitely a place for the Internet in schools and as a tool in learning. Students need to be taught how to use the Internet, and how to search, filter and narrow Internet searches rather than getting lost in an overwhelming number of links and results. When I Googled "how to search a subject on the Internet" I got 437,000,000 results in 47 sec. I am a parent to two tech-savvy teens currently in high school. So I asked them if they thought wi-fi in the school was a benefit or deterrent to learning? Each are very different students and both said there are definitely benefits to wi-fi. One said in particular he likes that he has access to sites such as Khan Academy at lunch. Both said that classes are split with half using it as a tool for learning, and the other half distracted from the lesson, and using it watch You Tube videos. I guess only time will tell if the Pros outweigh the Cons. Yep, just me Cathy thinking out loud about wi-fi in schools. 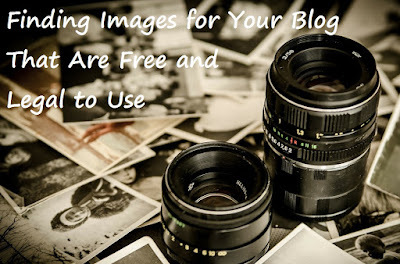 This week's topic is about the sometimes complicated process of sourcing free images you can use legally on your blog. Any blogger knows writing is only one aspect of a blog post. The process of editing the text, and finding images to accompany the text of a post (whether sourcing or creating them yourself) takes as much if not more time than the actual writing. I have a stack of posts written that never get published because of the work involved in taking and editing pictures for them. In some cases I don't have access to the subject matter needed for the image. There are lots of sites and options for purchasing the rights to use images, but the majority of my posts are not sponsored so this isn't a realistic option for me. One place I find free images to use is Pixabay. It's my favourite for ease of use and variety of images, but it's one of many places to source images for your blog. Another place to find images is AllFreeStock.com which has a list a number of sources to search for free images. Below are links to posts and resources to help you on your quest to find images for your blog. Yep, just me Cathy thinking about what I think is worth the read. I regularly have conversations on social media and in real life with friends and family about which TV shows, or movies are good to watch. So I thought why not share these recommendations on Cathy Thinking Out Loud once a week, on Wednesday (aka #W2WW). Please share yours in the comments section! This week's recommendations can be found on Netflix Canada and because school is almost over I thought movies about kids and their adventures would be appropriate. Note that not all these movies are appropriate for younger children. Please refer to each movie's rating and description in order to decide if it is right for you and your family. Some Tips and Tricks to Help With Exam and Test Writing. Each year twice a year I review with my kids the basic guidelines for studying for and writing an exam. Nothing beats being prepared and studying properly for a test or exam, but even with preparation there are a few tricks and tips to increase your success on a test. · Pay special attention to the instructions and what is being asked, such as whether there is a penalty for incorrect answers, what the mark value is for each question, and if you are required to answer all questions or for example 2 of 3, or one from each category. It would be a shame to waste time answering more OR lose marks for answering less than is required. Remember that part of the exam is testing your ability to understand and follow the instructions. · By reading and underlining key words in the question it will force you to focus and remind you as you go through the exam what the instructions are and what is being asked for a specific question(s). 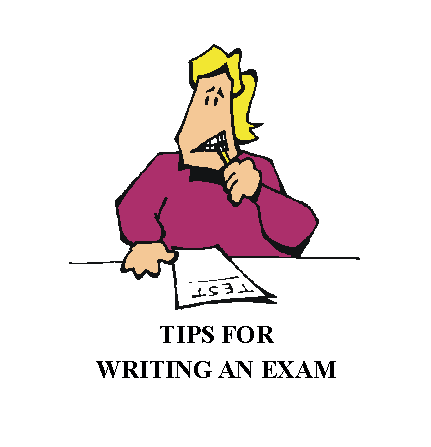 · You will find out at the beginning of the exam if you need clarification on any part of the exam, such as if rough notes can be handed in or does everything have to be written on the exam or tests sheets, or if a question that is not clear. BTW: It is okay to ask for clarification. Worse case they say they cannot give you any clarification or information. · Sometimes questions (and in the case of multiple choice the answers) contain the answers or clues to other questions, can jog your memory or help with ones you are not sure of. · If not indicated in exam instructions ASK if rough notes on sheets that are not part of the official exam can be handed in. If so hand them ALL in and number which question the notes are for. If not, be sure that all your notes are on the exam sheets. Often you will get partial marks for point form notes, even if you did not have time to answer the question fully. · Show all your work and the thought process that brought you to your answer. Often an incorrect answer will get you partial marks if you can show how you came to that answer. · Budget Your Time: This is important! If you spend the entire time answering 20 multiple choice questions worth 20 marks, but do not answer the 1 essay question worth 40 marks you will do poorly on the exam. Assign time based on the mark value of the questions and whether a question is mandatory to answer in order to pass the exam. · Answer easiest questions first, and circle (in pencil) those you do not know the answer to, or you are having difficulty answering in full. Circling will make it easy for you to find them later. Erase the circle as you complete the questions. · Write legibly. If a teacher cannot read your answer, no matter how brilliant the answer you won’t get marks for it. Poor writing in essay questions breaks the flow and concentration of the reader and impacts the overall impression of the quality of the answer. CHECK IF THERE IS A PENALTY FOR INCORRECT ANSWERS IN THE INSTRUCTIONS! · Read the entire question before you answer. Ideally you know the answer before you read the answer options. · Read ALL of the answer options before answering the question. You are looking for the MOST correct answer. All the answers may be true but you are looking for the one that answers the question most fully or correctly. · If there is no penalty for incorrect answers and you are unsure of the answer try to eliminate as many of the options as possible, or the obviously wrong answers. know at least 1 answer to be false then eliminate “all of the above”. uses “a” then you are looking for an answer that starts with a consonant. · Can’t say this enough - often exam questions and answers contain the answer or clues to the answer to other questions, or can jog your memory. These are generally worth the most marks on an exam and can contain multiple parts to the question. Be sure to read the instructions very carefully. If you write a fantastic essay that doesn’t answer the question, or only part of the question your marks will reflect this. Be sure to hand in any notes or essay outlines you do. If you run out of time you may get part marks for these notes. · Organize your thoughts and make a quick outline of your answer. This shows your thought process to the teacher and reduces having to try to erase or rewrite to reorganize, add to or edit your answer after the fact. It will improve the flow of your essay. 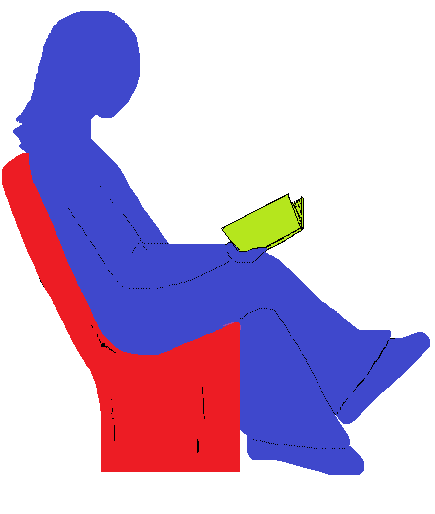 · Essays are generally a minimum of five paragraphs; introduction, three body paragraphs and a conclusion. Each paragraph should be a minimum of four to five sentences long. Paragraph Two – Body Paragraph 1: The first point, and generally your 2nd strongest point to grab the reader’s attention. Each of the body paragraphs should include a point, evidence of this point (e.g. fact or quote) and an explanation why this evidence helps to support or prove your point. This is called the P.E.E. method: Point Evidence Explanation. this point in the essay. wane, and this leads into conclusion. · If you are unsure of exact dates show you know the chronological order of events, and understanding of why this order is important, for example cause and effect. Another option is to use approximations such as approximately 250, in the 1920’s, the dirty thirties, 1600th century, or mid century. · Know the mark value. If an essay is worth 40 marks then there should be sufficient points and evidence backing up those points to account for 40 marks. In other words 4 or 5 sentences are probably not going to cut it. If you are finished your exam early Do Not Leave! If you are done early take the time to proof your work and make sure you have indeed answer the questions being asked and all parts of the question. Can you improve your answers by clarifying, improving flow, or adding detail? Yep, just me Cathy thinking out loud about exam time. Reflections on Motherhood: The Joy! The Excitement! We're Pregnant! The year is 1995, and I have just confirmed I am indeed pregnant with my first child. I have this all under control. And then everyone left, and my husband went back to work, and I was all alone to do this all by myself. I have a Political Science degree and Banking experience, what the heck do I know about looking after a newborn? What was I thinking? More importantly what was I going to do? Thinking back to my "Mommy" experience I still recall the overwhelming terror I felt. Fear that I would not be able to do this Mommy thing day in and day out. I mean how long can you fake looking like you have a clue? My Mom and Mother-in-Law had changed the diapers, burped and bathe my beautiful baby, shooing me away to sleep, rest and recover. I know as much as they really did want to help, they also wanted to maximize their baby time. This seemed like such a WIN-WIN situation at the time. Eventually my parents and in-laws went home, and they were now a six hour drive away. My husband resumed the travel he was required to do for his work. They all left and I was left freaking out! I was so tired, what if I slept through Baby's crying and I didn't nurse him enough, and he didn't put on weight? What if I couldn't figure out how to bathe Baby properly? What if I didn't care for the cord properly, or he got diaper rash because I didn't change him right or often enough? What if he cried all the time because I didn't burp him properly? These and so many more fears would keep me up at night in a constant state of terror. (well that and the nightly feedings every two hours). Turns out my beautiful baby had an excellent set of lungs and although he did not cry often, he was fully capable of crying loud enough to wake me, but he didn't need to. I woke up to the slightest sounds from Baby. Baby was apparently getting enough milk because he went from 7 pounds to 18 pounds in 6 months. I figured out how to burp him and care for him all on my own. There were no diaper rashes, so apparently he was clean enough even with me in charge of the bathing. I figured out how to get it all done and get Mommy and Baby to playgroup two mornings a week. Eighteen years later motherhood is still chaotic, and I still have the occasional periods of "freaking" out. But most of the time, even with the overwhelming terror, I actually do have it all under control. Yep, just me Cathy thinking out loud about motherhood. This week's topic is Social Media Best Practices. So you have added social media to your small business' marketing and sales strategy, but is it actually working for you? Just being on social media is no guarantee it will help your business, in fact managed poorly it may actually hinder your business and disengage existing and potential customers. How do you figure out best social media practices for small business? When it comes to social media each small business needs to determine which social media platforms are a best fit for their unique situation and type of business, and the netiquette that goes with them. More than knowing that, it is vital to know the best practices that can help drive traffic to your business, increase your client reach to ultimately increase your bottom-line. I regularly have conversations on social media and in real life with friends and family about which TV shows, or movies are good to watch. So I thought why not share these recommendations on Cathy Thinking Out Loud once a week, on Wednesday (aka #W2WW). Please share yours in the comments section! 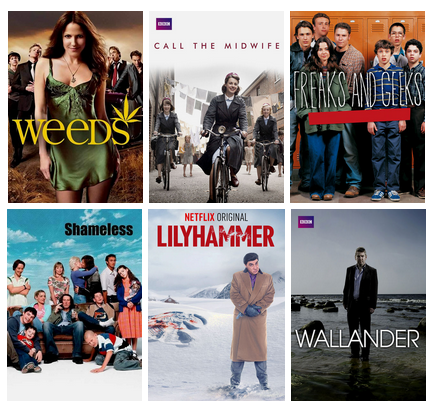 This week's recommendations can be found on Netflix Canada and have a fatherhood theme in lieu of Father's Day this Sunday. 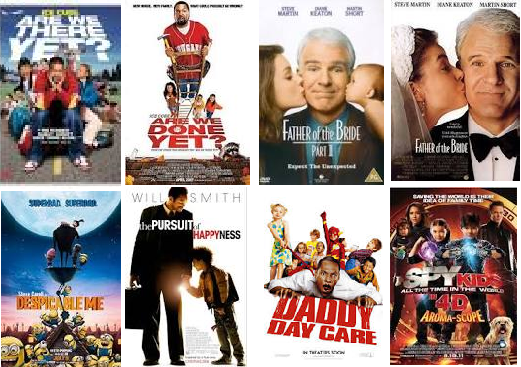 Hope you enjoy these movies and to all the Dads out there have a Happy Father's Day! In March this year while trying to get some sort of control and balance in both my blogging and family life I wrote a post called Blogger Issues: Finding to find that oh so elusive balance. This post caught the attention of Hobby to Hot.com which was quite exciting since I have reading and sharing posts from there for some time. In May I had the privilege of being featured on Hobby to Hot and answer a few questions about my blogging experience. 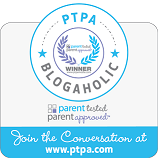 The questions really got me to thinking about my blogging journey, what I have learned, and how it has impacted my life. If you would like see my answers, and maybe get to know me just a little bit better take a look. I would love your feedback, and to hear what you thought! and to my readers for taking the time to read my posts. 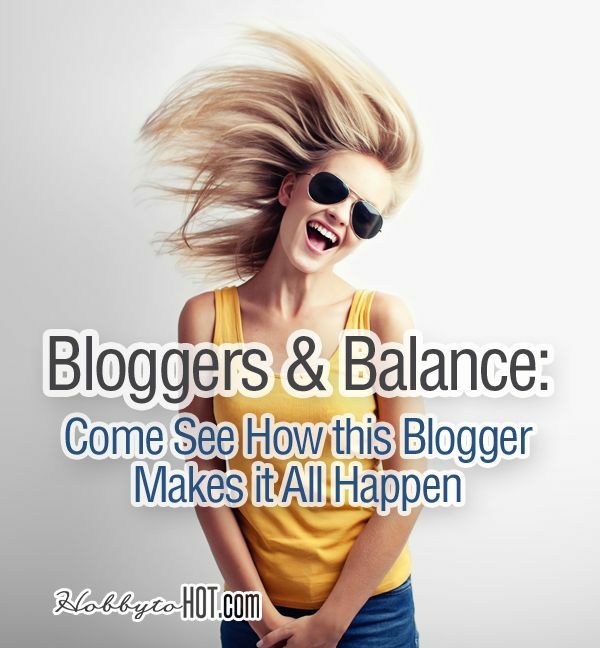 Yep, just me Cathy thinking out loud about balance. Sometimes I come across a brand that you actually look forward to engaging with. Not because of a contest, or giveaway but because you know the interaction will be fun, make you smile or feel good after the interaction. A brand that stands out in a crowd. Maybe it is the person behind the brand, but since the brand was smart enough to hire them, I will give them credit. I am not talking about the product or the service, because for me to spend my hard earned money quality and value has to be a given. In every industry there are products and services that are quality and comparable, so what sways me to buy one brand over another? On social media there is a lot of noise. Chatter and promos, and I admit I contribute to the volume of chatter for sure. I answer tweets and questions tweeted out. Mostly it is silly chatter, but I watch and notice if brands respond, and how they respond. I notice if they reach out to people without prompting. Sure it is all about my ego, it makes me feel special, but I notice. Another thing that I notice about brands is if and how they are involved and give back in the community, charities. If all things are equal in quality and price, then it is this that will differentiate one from another, and I notice. That positive feeling extends to every time I use that brand's product, service or visit their establishment. Boston Pizza engagement has remained consistent for me. Fun interaction on social media, great service in the restaurants, and active giving back to the community. I look forward to chatting with them on twitter and facebook. I feel good about bring my friends and family there. So it is not surprising they have stood the test of time. They are celebrating their 50th Anniversary this August with a special Anniversary Menu and a contest to win a Boston Pizza Party for you and 30 of your friends and family. 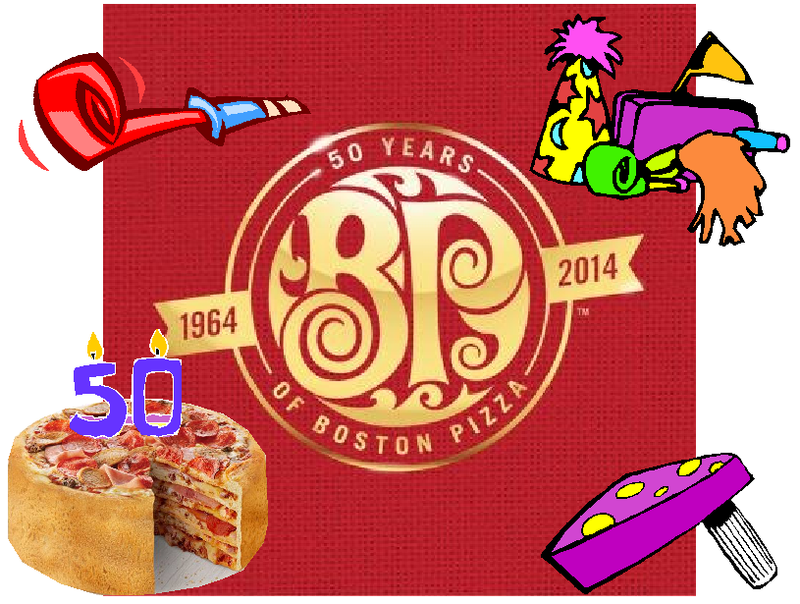 Join me in wishing Boston Pizza a Happy 50th Anniversary! and good luck to those who enter the #BPPizzaParty Contest! Note: I was not compensated for this post in any way. In fact Boston Pizza will only know I have written this post once it goes live. I merely wanted to share with my readers a great contest, and give a well deserved shout out to a great brand. I live in a house of males. Even our pets have been male. Most of the time that is just peachy keen, but sometimes a girl needs some alone time to put on her favourite yoga pants and comfy sleepers, kick back and relax with a Cocktail. June is an exciting month: OITNB Season 2 starts June 6th. 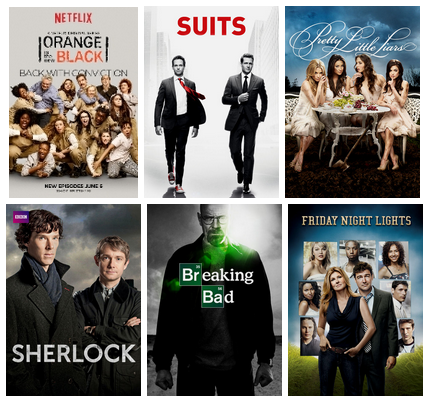 Plus there are a host of other great shows you will definitely want to check out! I personally love Suits, and Wallander! I read interesting informative posts and articles about business, social media, marketing, networking, and the like all the time. I'm a bit of a junkie when it comes to this type of thing. So I thought I would share at least one said post or article every Friday, and maybe send you into your weekend with some food for thought. That is how I start each of my Food 4 Thought: Worth the Read posts. I clearly state I want to share with my readers articles and post I have found, I think they might be interested in. I am not compensated and do this to interact with my readers, and maybe share something that might be helpful. I was not Linked on LinkedIn for a very long time. As a stay at home Mom (SAHM) for 18 years I felt LinkedIn was a social medium that should be used for business, occupational, and professional networking and "linking". After I started my blog, I felt justified signing up for LinkedIn since other bloggers and blog groups were there, and it appeared to be a good place to network, and connect. For me LinkedIn isn't like other social mediums. It is specifically for business networking, so I limit my sharing of both my own and others posts to topics I think fit that category. I do not share my latest giveaway, or twitter party. I seldom share a promo post unless it is about a product or brand that I feel will be of interest in a business, marketing, networking or family-business balance kind of way. Each day "Pulse" on LinkedIn suggests posts and articles that might interest me. So my Worth the Read posts seemed like a perfect fit for sharing on LinkedIn. In fact some of the links I share I have read and found via Pulse on LinkedIn. Certainly the topic for my Worth the Read March 24, 2014 #JobSearching in the Digital Age seemed like a relevant topic. I share the links to the original place I read the post. I then take the time to inform the authors via comments or twitter, that I have shared a link to their post. Last week I found myself locked out of LinkedIn with no email notification or reason why. I asked for details about what, when and how I had broken the rules so that I might not make this mistake again. Response From LinkedIn: "We've recently received complaints from other members that you've posted promotional updates or comments on the posts of LinkedIn members that appear to be phishing, spam, or abusive in nature. We realize not everyone understands how updates and comments on LinkedIn should be used. However, the LinkedIn User Agreement prohibits using LinkedIn to connect with people you did not know and/or sending or posting unsolicited messages. 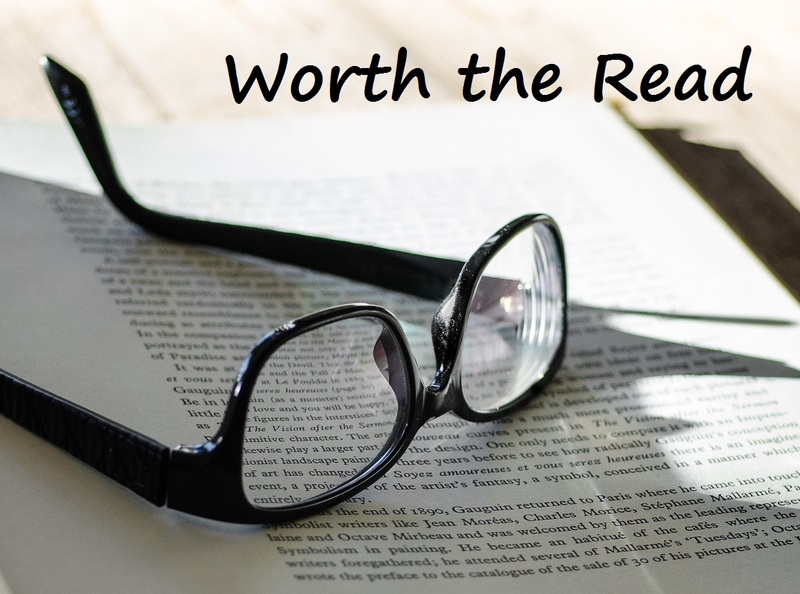 It is true I had shared my Worth the Read post in my LinkedIn updates, as well I had left a comment on a LinkedIn Influencer post stating I had shared his post. Apparently one of these actions, or maybe adding a link to the post had someway violated the terms or rules of linkedIn. I was mortified and angry. I don't try to contact people I do not know, although seriously what is the point of contacting people I already know? If the point is to network ... I think you get my drift. Apparently you can read others posts, for example a LinkedIn Influencer post, but in order share or comment you need to be able to read minds and guess if said sharing is abusive spam. Um...question? What about all the people who ask me to link with them that I have never heard of before? I thought the point of LinkedIn was to share, and network about employment, job searching, and business. Otherwise please explain the job opportunities sent to my inbox from LinkedIn. Please explain the suggested posts, people and groups LinkedIn shares (maybe to often - aka SPAM) with me. Since I don't know the people LinkedIn suggests are they just mocking me? I honestly thought I was doing exactly what LinkedIn was established for. Other than providing a link to my blog and the offending post, no other explanation was provided. Clearly no one bothered to read the post (including whomever had complained). No "Sorry, sometimes these things happen, or clearly you are not phishing, spam or abusive in nature." I shouldn't take it personally, but it felt personal, and yet very impersonal. I shared my thoughts, and suggested they share them with someone senior. Maybe the LinkedIn guy who spoke at the Blogging Conference I recently paid to attend. Can he explain why being put on "high restriction" for trying to share is good business. From me: "That was a post from my blog sharing a number of posts many recommended to me on LinkedIn about advice and tips on searching for jobs in the digital age. I was not compensated for this and make a point to share with the authors when I link to a post they have written as a courtesy. One of the posts I linked in my Worth the Read post was by a Linked in Influencer. I read the posts shared with me on LinkedIn, share them and recommend on them, and this is the result. I was trying to contribute and be an active LinkIn member. I thought LinkIn was about networking, job opportunities and interacting. I will not share again. Having said that, thank you ____ for your assistance. Am I to assume you are taking the restriction off of my account." In the end I was told they would take the "High Restriction" off my LinkedIn account if I agree to adhere to the rules, and given a link to said rules. After four emails the response was the following. Talk about missing the point, or probably more accurately not caring. Thanks for complying and adhering with our policies. The restriction has been lifted from your account. I get that I am not an "influencer" and just one little person. But who knows who I know, or what I may become? I would share an excellent post about that but we all know what happened last time. So now I do not check LinkedIn nor do I like share or comment there anymore. LinkedIn personally I think you are clued out. No links this week, but I am hoping that my post gives you food for thought, and was worth the read.